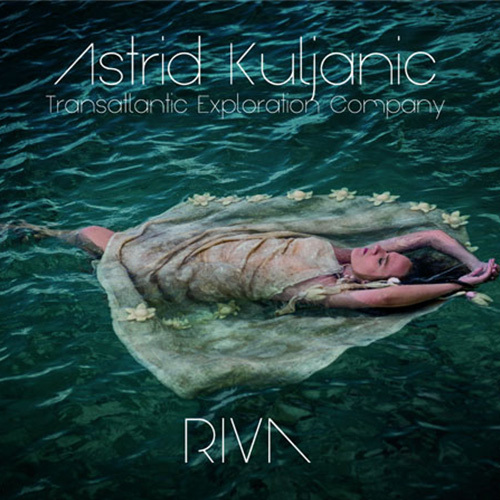 Croatian vocalist and composer Astrid Kuljanic has released Riva. She combines Croatian rhythms and melodic structures with jazz and switches from Croatian to English-language lyrics throughout the album. The quartet is comprised of: Astrid Kuljanic on vocals; Ben Rosenblum on accordion; Mat Muntz on bass; and Rogerio Boccato on percussion. The album concentrates on jazz-style vocals supported by accordion, imaginative bass lines and mesmerizing percussion work. Kuljanic enjoys an impressive wide vocal range, as well as a seminal talent for coherent improvisation, and above all, the absolute control and refinement of intonation. The nine tracks cover familiar and new territory, presenting jazz standards, Brazilian samba and bossa nova, and traditional songs from Cres, all with the unique style of the Transatlantic Exploration Company. That’s the short of it! The music is deeply rooted Kuljanic’s Croatian influences, yet organically melds with her mixing of jazz and Brazilian rhythms, song forms and melodic embellishments. It is a treat to hear Kuljanic’s facility when flowing between Caribbean and Brazilian beats and racy Croatian ditties, between heartfelt ballads and upbeat romps. Riva is an exploration of inspirations of innumerable influences that craftily engages in a musical conversation that spans from her family’s home island, Cres to New York City. With a diversity of language, scales, and other elements she brings many fresh sounds to each song. The songs are varied in style and different cultural identities, but embrace the wide influences and thoughtful musical comradery, to make it their own.